Ok, enough moping. 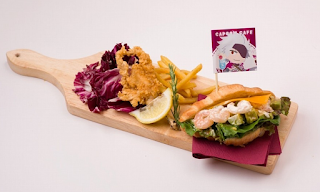 Back to reporting last week's Sengoku Basara news. It's that time again! The link to the master post is here. I'll try to keep it updated with all of the confirmed details and translated information so we can all enjoy the game fully the day it's released. As expected, last week's magazine reveals made their way onto the official website a few hours later. A video was also posted highlighting the gameplay during the Sanada Trials. To save some time (and space), I'll be adding the information straight to the main Reference Materials post linked above instead of writing about the individual details here. It's worth mentioning that fan sixclawsdragon has kindly produced an English version of the new character relationship chart from the official website in order to help fans keep up with the small shifts in relationship dynamics in this latest game. We already knew that the game was getting a Chinese-language edition for the first time and this is now available for preorder. It seems that customers in Asian regions outside Japan will have a choice between the Chinese-translated version of the game and the usual Japanese rerelease, so customers who usually purchase the Asian edition to save a little money should be especially careful to check which version they order. The spoken dialogue will all be in Japanese either way, but the text in any translated material might not match in the Chinese edition for obvious reasons. 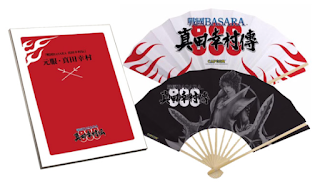 However, there's an active Chinese-speaking Sengoku Basara fan community out there; if you happen to speak Chinese already this is a great opportunity to get a version of the game with better language support. There's no PS3 edition of the Chinese-translated version of the game. The release date is 25th August 2016 no matter which edition you purchase and the game's name is written slightly differently in Chinese: 戰國BASARA 真田幸村傳 for the traditional spelling. 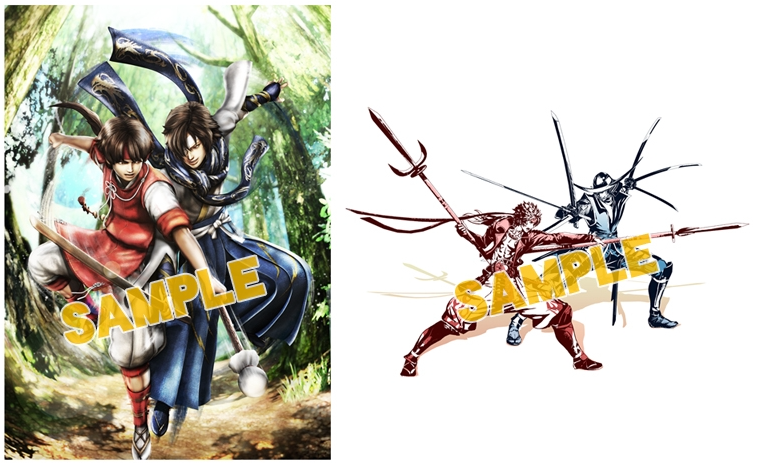 All of the Asian editions come with the exact same preorder bonuses no matter which you buy: a Chinese-translated version of the 32-page Genpuku: Sanada Yukimura ('Coming Of Age: Sanada Yukimura') short story, the preorder-exclusive 'White Cross' costume for Yukimura and a reversible fan. Please remember that Asian DLC can only be redeemed through an Asian PSN account. 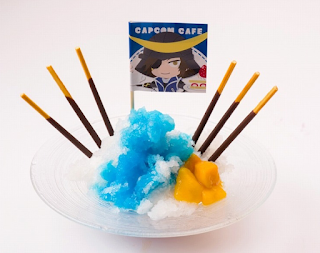 It was revealed a little earlier than they planned thanks to fans digging through the game's files, but Capcom formally announced the three paid DLC costumes for the newest Gyakuten Saiban game last week. Naruhodo (Phoenix Wright) can dress up as Date Masamune, Odoroki (Apollo Justice) can be Sanada Yukimura, and Kokone (Athena Cykes) has a Tokugawa Ieyasu outfit. The DLC comes in a Sengoku Basara Costume Pack bundle which will cost ¥143 before tax when it goes on sale on 23rd June 2016. I'm a big fan of both series so this sounds like an awesome crossover idea! I mentioned the second episode before but neglected to add the full details now available about the future broadcasts. Each broadcast will commence at 20:00 Japan time and last for one hour. 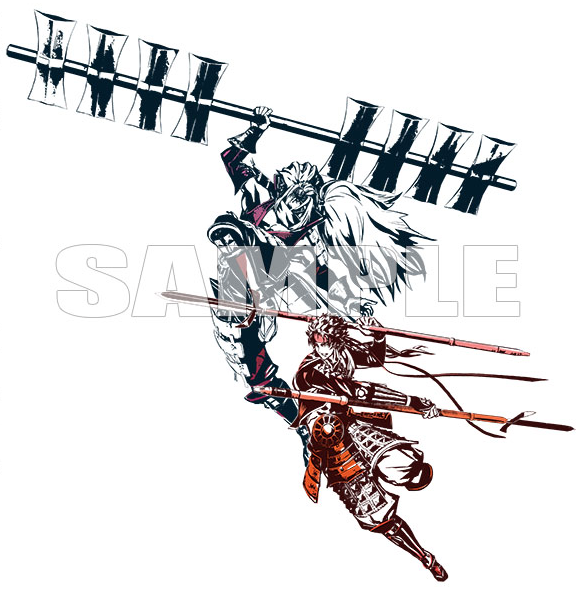 Animate is a major Japanese anime/gaming goods retailer and they've revealed that customers who purchase Sengoku Basara: Sanada Yukimura-den from them will receive two A3-sized clear posters while stocks last. The Animate product pages for the PS3 and PS4 versions of the game confirm the details. It's a decent extra incentive for those who are able to purchase from the Japan-only website or their local Animate store. Meanwhile, AmiAmi have created separate listings (PS3, PS4) for an edition with an 'acrylic multi-purpose stand' featuring the Sanada brothers as their exclusive bonus. Please be careful as they have two sets of listings and only one set includes the stand. And WonderGOO have a Japanese-style Benmaru/Bontenmaru drawstring pouch on offer (PS3, PS4). The next Kodansha BOX novels to be repackaged in a two-in-one edition are Sengoku Basara 3: Chousokabe Motochika No Shou/Mouri Motonari No Shou ('Chousokabe Motochika Chapter/Mouri Motonari Chapter'), scheduled for release on 15th July 2016 for ¥1,250 before tax. The Sengoku Basara tie-in at Sweets Paradise will be ending in a few days, so a new report has been published showing producer Nonaka (accompanied by staffers Kana and Goiman) visiting the cafe to sample the dishes on offer. A second article in the series will be posted soon. The Japanese gaming press has revealed the special dishes which are planned for the new collaboration which starts on 24th June 2016, and they're absolutely charming. Soft drinks based on Tokugawa Ieyasu (¥680) and Sanada Yukimura (¥730). This looks like a cute collaboration. 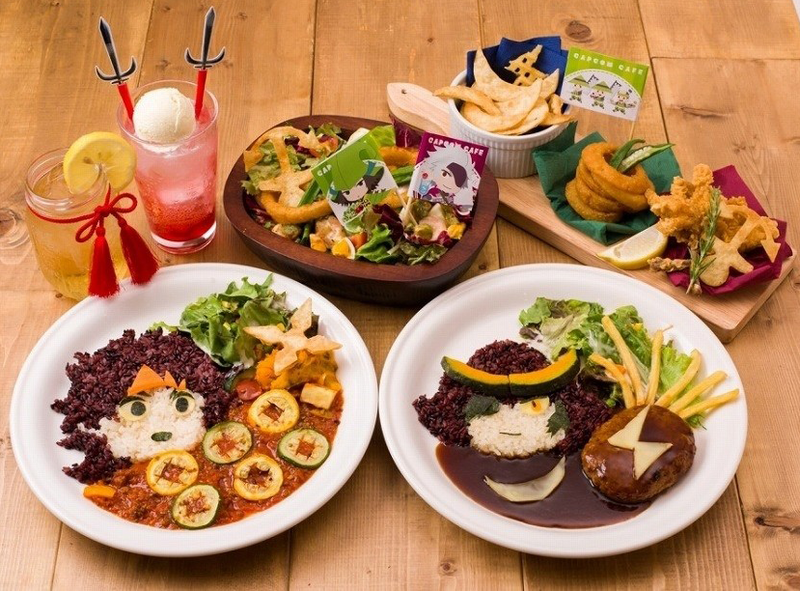 A lot of thought has been put into the dishes and the cartoony illustrations are a nice bonus. 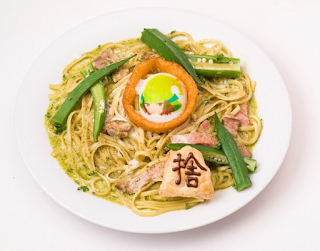 iOS or Android users who enjoy the comical Capcam app to take pictures with their favourite Capcom characters will be delighted to learn that Sengoku Basara stamps have joined the options on offer. 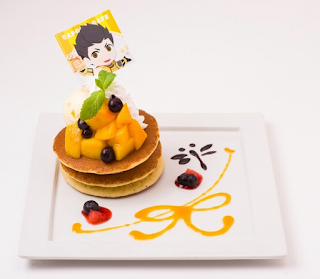 At the moment, the new stamps are quite limited; you can add the cute Ashigaru-kun mascot to your smartphone pictures and decorate them with Sengoku Basara graphics such as the 'FEVER' text and food power-ups from the game. Perhaps more pictures will be added later on. In addition, the portraits of some of the Sengoku Basara characters available through the official LINE account will be updated on 23rd June 2016. Users should try requesting their favourite portraits again to see the new images; it looks as though everyone who appears in Sanada Yukimura-den will be updated to show their new character selection screen pose. 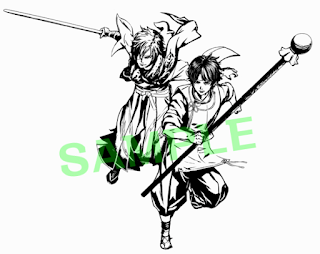 By the way, in Sengoku Basara's facebook page they posted the new images of Maeda Keiji and Sarutobi Sasuke. And, I noted also in the video and in the Sanada Trials section that these two characters have a lot of focus (although it could be my imagination). Perhaps will they appear not only as bonus characters but in the main story as well...? Thanks again for all the hard work! The game looks awesome and it would not be possible to enjoy it fully without your translations. One of my friend is always asking for Sasuke. Hope we get news about him soon.